I’m delighted to remind you of this interview I did with Emma Drew last year. Emma Drew was the first money blogger that I was really aware of. Using her hints and tips to make extra money and savings has turned my life around. I can thoroughly recommend her free money-making mastermind course which can be found here. One of the things Emma features in her free course is about setting up a blog. You can set up a blog easily using that course and other free resources available online. Emma is now a 6-figure earner though and has written a new course enabling others to start their path on a similar journey. It’s called “Turn your dreams into money – how to build a six-figure blog and live the life you want”. I was fortunate enough to be one of the testers of her course and I’m really happy that it is now public. Not sure you are ready to commit to spending the money? Here’s my review of the Emma Drew Blogging Course and hopefully that will help you decide! At the moment, I am working full time, and in the process of “trying” to move house. I’ve had a lot going on and at times felt really overwhelmed. I’ve therefore not gotten as far into Emma’s course as I would like, BUT, I absolutely love it! When I first decided to start my blog I rushed out and signed up for courses like affiliate marketing and driving traffic, but I soon realised that without a good quality blog and a decent amount of good quality content, no amount of affiliate links was going to achieve anything. I soon found myself in a rut, I didn’t know how to build a blog or a brand. I had no idea what I was doing so I ended up dipping in and out, getting more and more despondent with each attempt. I knew I needed to build that good quality blog with good quality writing and the other stuff could come later. Ways to make money from your blog and how to get started! And so much more…… if I put them all on here you’d be reading all day! Whether you are a technical whizz, or a technophobe, Emma walks you through everything with a step by step guide on everything you need to know. 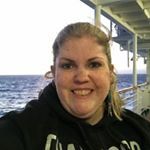 There are videos, worksheets, top tips, dos and don’ts and resources including an amazing Facebook group to connect with other new bloggers in the same boat as yourself. I’ve found that networking with other bloggers is a key component to staying motivated so this group is ideal. I genuinely wish this course had been around before I started blogging, as I would have saved myself a lot of effort, expense and heartache. As I have a lot going on, I am still treating blogging as a hobby, enjoying the learning process that goes with setting it up and running it, but when I move, the plan is to commit more time to it, and start making some real money from it. I know of another blogger who started her blog after signing up to Emma’s free course, has already been nominated for an award and is now ready to quit her job and focus solely on her blog! She might not be at six figures yet but she’s going in the right direction. It’s easy to get disheartened or even jealous of stories you hear like that, I know I’ve struggled with that but it’s important to remember “Don’t compare your beginning to someone else’s middle.” (Thanks Emma Bradley for introducing me to that one). I know that with some effort and focus, I am going to be going in the right direction too. I’m not going to lie, blogging is much harder and a lot more work than I ever imagined, but I’m going to take encouragement from those stories and keep plodding along. If you have more time than me, I look forward to you overtaking my page views and affiliate sales in no time, but in the meantime I am going to keep going and enjoy learning from one of the best, Emma Drew and her amazing course!